Are you meeting all your H&S regulatory requirements? The complexity of Health and Safety regulations and compliance standards have increased significantly in recent years. H&S managers are now tasked in providing greater transparency on incident reporting and monitoring safety concerns within their organisation. Reliance on a trail of paper documents, emails and faxes to track incidents and associated reports are difficult to oversee and can easily become disorganised. Now is the time to consider reviewing and tightening H&S processes. You can avoid the risk of failing to meet regulatory compliance and potentially save your organisation hundreds of hours of lost time. How confident are you of your current H&S processes? 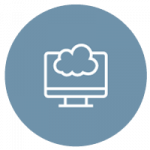 To address the increased level of difficulty in managing and implementing complex requirements, many businesses are using SharePoint to streamline their processes. It provides a reliable, seamless framework that supports the implementation of procedures whilst storing and managing your organisation’s library of relevant OH&S documentation. All employees are required to identify H&S risks and take the necessary steps to prevent workplace injuries. So how can we build a H&S workplace culture that makes it easy to be compliant? 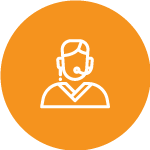 Whether your employees are working in a retail store, a mine, on the road, up scaffolding or in the office, your people can access emergency procedures, policies and incident reporting documents from anywhere and on any device. SharePoint can be accessed anywhere by all employees, regardless of where their job takes them. 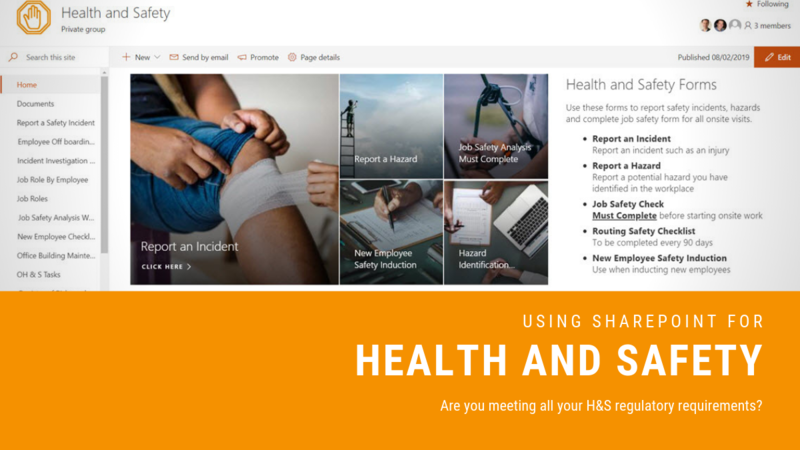 New risks and hazards can now be reported and instantly uploaded using your H&S SharePoint Hub – promptly notifying all relevant employees. Hazards and control measures can be monitored and posted within the hub as needed. Reports on investigations, monitoring of hazards, near-misses, accidents and illness are readily available to delegates with the appropriate access levels. With greater oversight from government regulators this can help you improve compliance. It’s reliable and auditable and can reduce your costs. 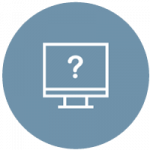 In the case of an accident, the Incident Report Form can be completed and uploaded from the site of the incident within minutes. Relevant photos can be attached as supporting evidence. Employees can use a mobile phone, iPad or any other available device. 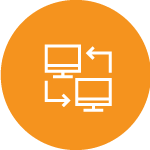 By streamlining your official processes, SharePoint can eliminate unnecessary disruptions to other employees. The predetermined check points for approvals ensures all information is channelled to the appropriate personnel..
As the H&S documentation increases and progresses through your organisation, each step includes details of approvals, rejections, reasons for the decision and timestamps..
As the documentation progresses through your organisation, each step includes details of approvals, rejections, reasons for the decision and timestamps. Contact us at alltasksIT to discuss how SharePoint can be customised to support you and your organisation with streamlining your H&S processes. This entry was posted in Uncategorized and tagged Modern workplace, Office365, Sharepoint. Bookmark the permalink.